An unprecendented and timely effort, ‘Little Book on Men’, a graphic book, attempts to address many of the issues and questions that surround masculinity in a creative and reader-friendly manner through drawings, text and video frames. Categories: Yoda Press, Gender, Visual art. Tags: 9788190363488, gender equality, gender roles, Gender studies, Graphic narratives, Graphic Novel, Indian graphic novel, masculinity, Yoda Press. India today is abuzz about how things are changing for the new Indian woman. Yet no one is talking about men. As the varied discourses within gender studies grow increasingly complex, the study of masculinities continues to remain an area of darkness within the South Asian reality. The obvious is familiar to all—the visible, hegemonic masculinity which bristles on the slightest provocation and proudly displays its wares. But what about various other masculinities, those which remain silent and unrecognized, pushed under and behind their ‘hyper masculine’ brethren? One might ask—are the two kinds of masculinities locked in an eternal conflict? And are these masculinities permanent, unchangeable, or do they evolve and transform with time? As the varied discourses within gender studies grow increasingly complex, the study of masculinities continues to remain an area of darkness within the South Asian reality. 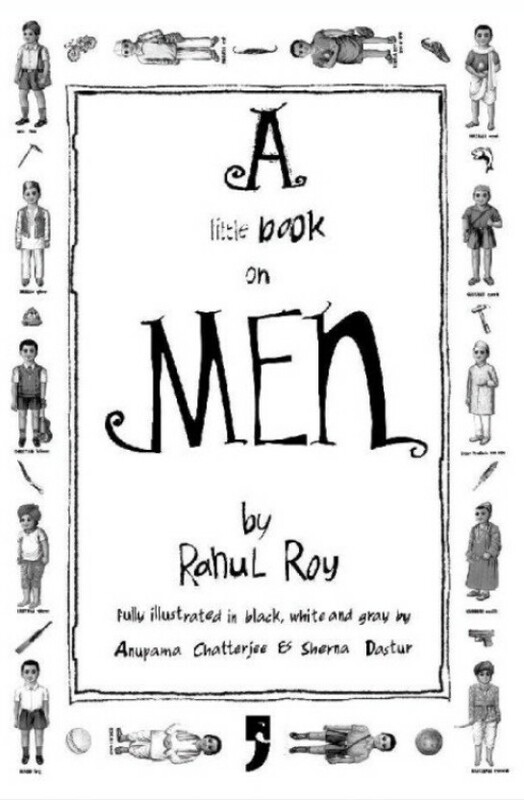 An unprecendented and timely effort, ‘A Little Book on Men’, a graphic book, attempts to address many of the issues and questions that surround masculinity in a creative and reader-friendly manner through drawings, text and video frames.